This book reminded me a little of a Michael Crichton book I once read... maybe... but with teenagers and less death. Kalahari turned out more exciting than I'd expected, based on what my impressions of the first two Corpus books had been, so that's definitely a good thing. There are always little things here and there that didn't work for me, but if I sweep those details aside, the book is still engaging as heck. 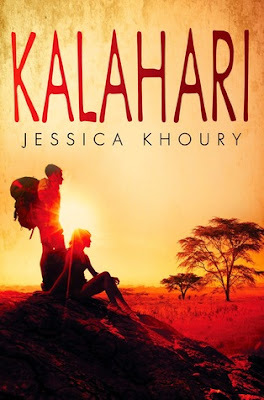 As I said, I hadn't been expecting it, but much like previous Jessica Khoury books, the story is easy to get into and the action draws you in instantaneously once you get there. The beginning was a little slow to start, and I definitely had issues with how the author creates the first piece of conflict, but after that, things just rolled right along.